In a sea of dark brown, float above the rest in this light brown leather belt. Paired with a elegant chrome buckle and matching keeper, the rich patina and light brown hue of this Solid Leather belt will add distinguish to your rich style. 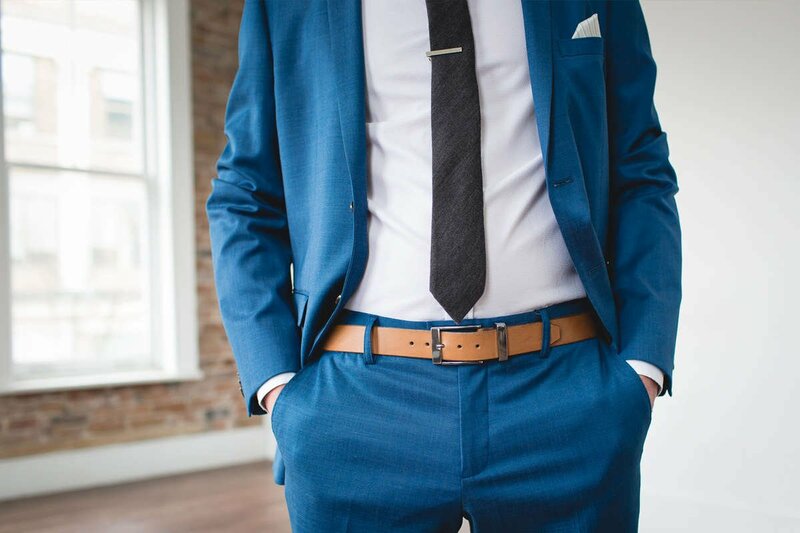 In a sea of dark brown, float above the rest in this men’s leather belt in a beautiful light brown. Paired with a elegant chrome buckle and matching keeper, the rich patina and light brown hue of this Solid Leather belt will add distinguish to your rich style. Fits well and looks great with jeans and dress pants.